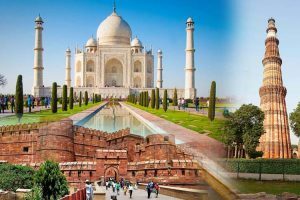 Want to take tour places of India in sort time period then Golden Triangle tour is a best suitable option and visits on all have iconic places for tour. This tour offers tour of 03 most famous cities of North India which are Delhi,Agra & Jaipur. Some most eminent sites in India redefined and shaped the History of Indian places, heritage and identity. If you want to explore heart and soul of India then the Golden Triangle Tour is perfect one to dicovering the most tourist places. Delhi is a metropolitan and bustling city. Vibrant shopping scenes with various flea markets where you may see the all latest and worldwide fashion and simple one too. 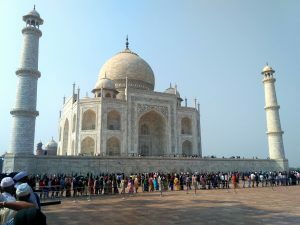 Agra has a one of the most beautiful monuments of the world TajMahal. Visit Jaipur and know the secret of the Pink city. See the top picking variety and vibrancy of top picking visitors is a Golden Triangle Tour. This tour offers all things history, luxury, heritage, shopping, wildlife, elephant ride and folk performances we need to say more, do not describe in words the Beauty of Royal Rajasthan. Here we tried to put major tourist places in Rajasthan as per our experiences of Royal Rajasthan. Confirm you Rajasthan tour package with travel agents in Delhi. Taj Mahal has voted to one of the seven modern wonders of the World which situate in Agra. 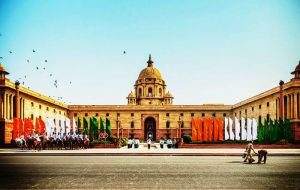 Delhi is a natural choice for starting point of journey in a Indian Golden Triangle Trip this is a well connected to all national and international airports. When tourists visit in Delhi they will see two side of Delhi Old & New and both have more attraction to see in Delhi. After visit in Delhi after that Agra and then Jaipur. These three cities tour is a more exciting and enlighten and give the preference and priority of tour to the guest’s choice. Ghumindiaghum offers all Rajasthan travel packages at very affordable price. Budget Rajasthan tours is a part of the tour operators in Delhi, India.